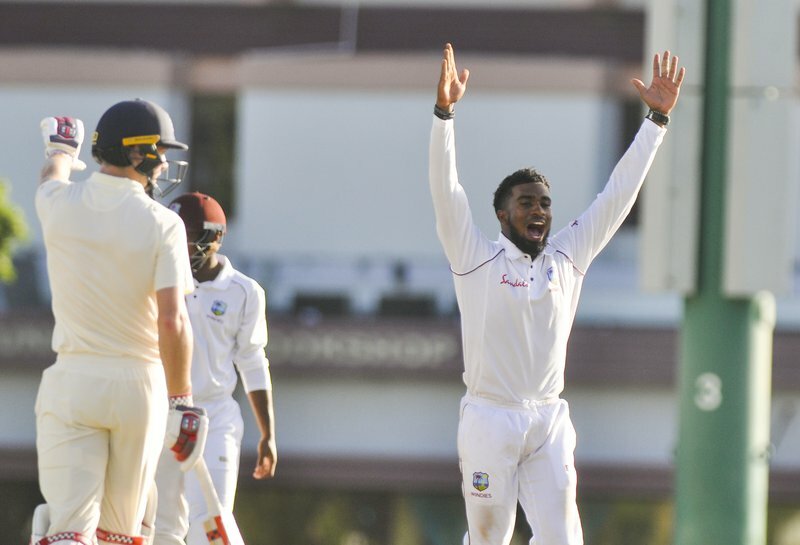 Jan. 16, 2019, 2:17 p.m.
BRIDGETOWN, Barbados – Off-spinner Bryan Charles took five wickets as the Cricket West Indies President’s XI put in an impressive performance against England on the opening day of the two-day tour match at 3W’s Oval on Tuesday. The visitors were ended on for 317 off 87 overs. When their 10th wicket fell they were 284 off 70.4 overs, but due to the arrangement of the match, England batted on to the end of the day. 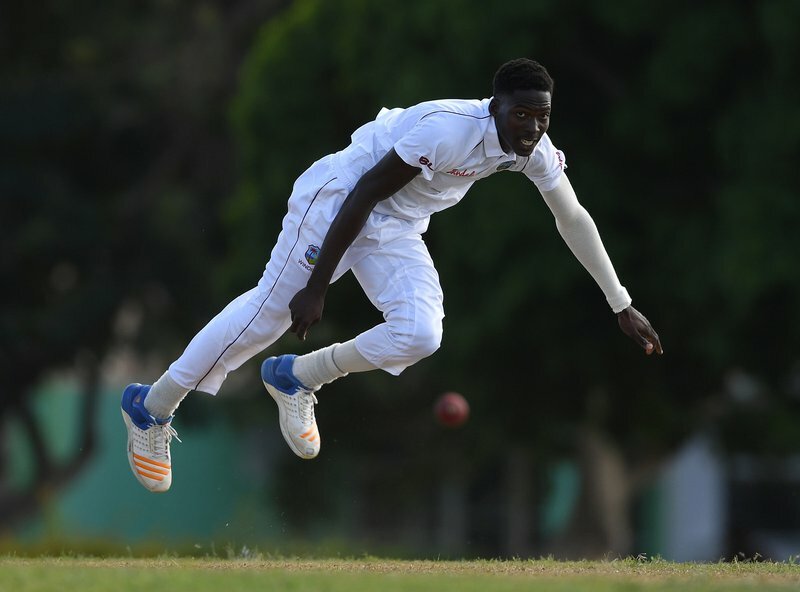 The 23-year-old Charles took 5-100 off 25 overs, 20-year-old pacer Chemar Holder ended with 3-67. 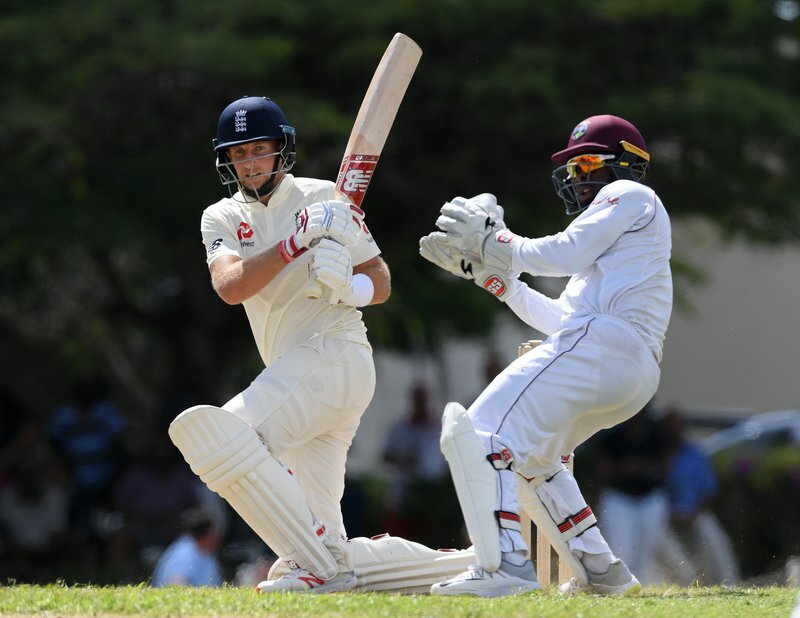 England captain Joe Root shone with a run-a-ball top score of 87 while all-rounder Ben Stokes struck 56. Root stabilised the innings by anchoring two successive half-century stands. First, he put on 72 for the third wicket with Burns, who faced 70 balls and counted three fours before falling leg-before-wicket to Holder. Root then added a further 69 for the fourth wicket with Stokes, a stand which saw England dominate the second session to be 202-4 at tea. The right-handed Root struck 12 fours and two sixes before he fell to a catch at mid-wicket by Sunil Ambris off Charles. Stokes posted 42 for the fifth with Moeen Ali but was sixth out, holding out to mid-wicket off Charles.